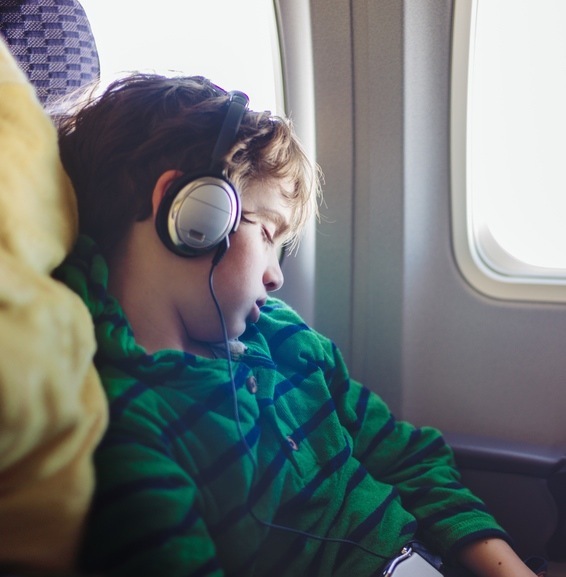 Over-excitement, impatience, and anxiety can make family travel a little bumpy for everyone. Here, a few ways to instill chill-time on the go. When it's time to calm down, focus, or get to sleep, the Headspace app offers exercises and techniques designed for kids. Sorted by age brackets, the sessions are just five minutes (or less). 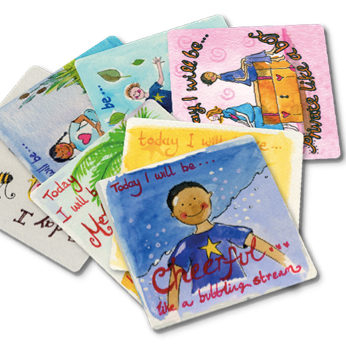 This colorfully illustrated deck is full of age-appropriate mantras; daily affirmations like “Today I will be happy like a bumble bee” are fab for helping kids visualize positive behavior. With settings like tropical rain, quiet piano, and row boat, the Sleep Pillow Sounds White Noise Machine app helps everyone tune out. Plus, it has handy settings like a sleep timer and alarm clock.